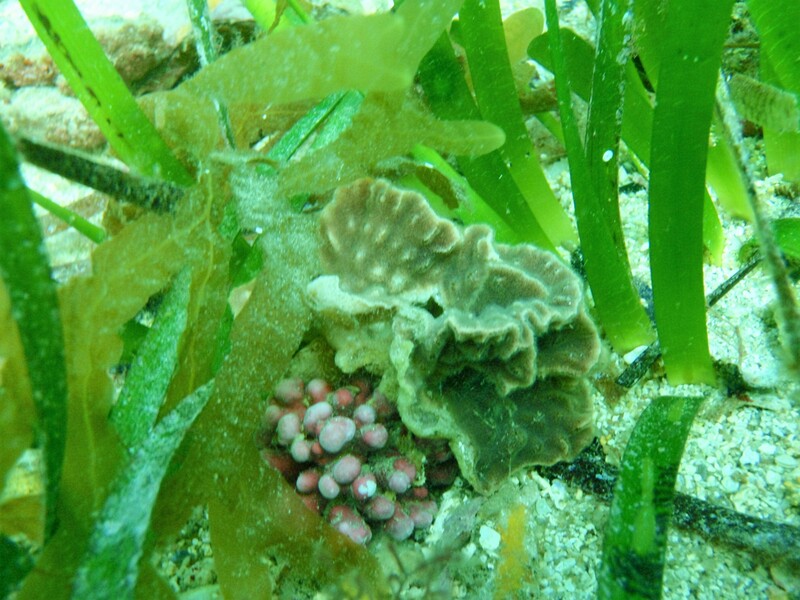 Rhodoliths | Marine Life Society of South Australia Inc.
As divers, we see all different kinds of marine algae underwater, but identifying the species can be tricky for most of us. There are greens, browns, reds and even blue-greens. Then there are Dinoflagellates (Division Dinophyta) and different seagrasses (Angiosperms). Green algae belong to the Division Chlorophyta. Brown algae belong to the Class Phaeophyceae of the Division Heterokontophyta (Phaeophyta). Red algae belong to the Division Rhodophyta. Blue-green algae belong to the Division Cyanophyta. As mentioned above, Dinoflagellates belong to the Division Dinophyta. Seagrasses (Angiosperms) belong to the Division Magnoliophyta (Tracheophyta). There are whole books covering the topic. It can be challenging sorting out one species from another most of the time. 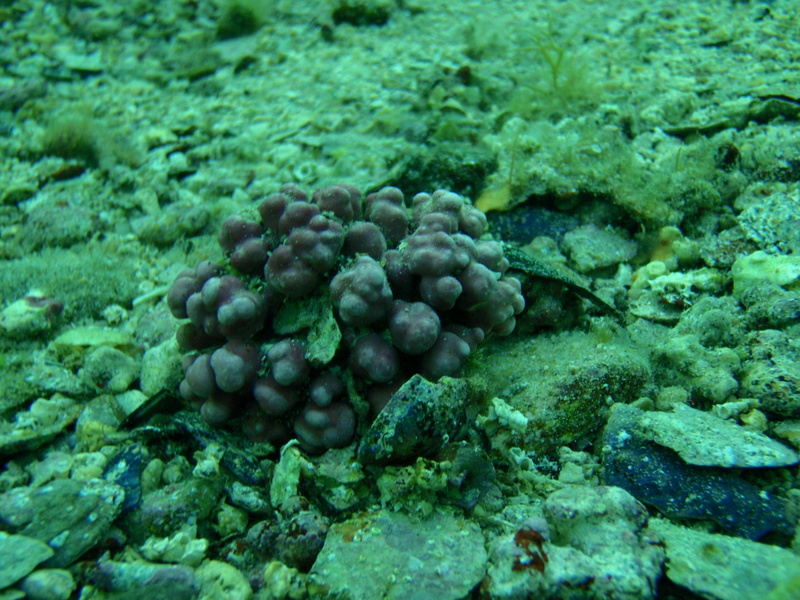 One kind of algae that often catches my eye is coralline algae. It is thought to be Sporolithon durum (Order Sporolithales). According to Wikipedia at https://en.wikipedia.org/wiki/Rhodolith , “Rhodoliths are colourful, unattached, branching, crustose benthic marine red algae that resemble coral. 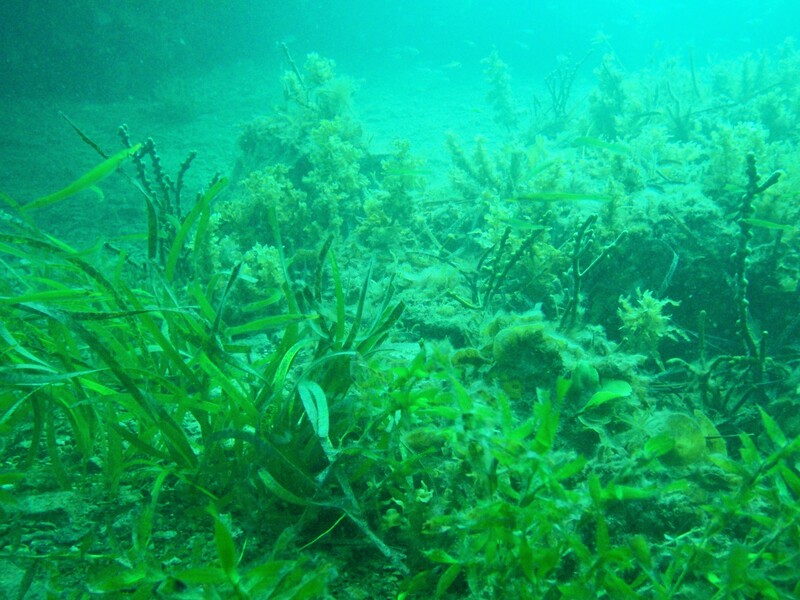 Rhodolith beds create biogenic habitat for diverse benthic communities. Common rhodolith species include Lithophyllum margaritae, Lithothamnion muellerii and Neogoniolithon trichotomum. The rhodolithic growth habit has been attained by a number of unrelated coralline red algae, organisms that deposit calcium carbonate within their cell walls to form hard structures that closely resemble beds of coral. Unlike coral, rhodoliths do not attach themselves to the rocky seabed. Rather, they roll like tumbleweeds along the seafloor until they become too large in size to be mobilised by the prevailing wave and current regime. They may then become incorporated into a semi-continuous algal mat. While corals are animals that are both autotrophic (photosynthesize via their symbionts) or heterotrophic (filter plankton from the water for food), rhodoliths produce energy solely through photosynthesis (i.e. they can only grow and survive in the shallow photic zone of the ocean). Scientists believe rhodoliths have been present in the world’s oceans since at least the Eocene epoch, some 55 million years ago. Rhodolith beds have been found throughout the world’s oceans, including in the Arctic near Greenland, off eastern Australia and in waters off British Columbia, Canada. Globally, rhodoliths fill an important niche in the marine ecosystem, serving as a transition habitat between rocky areas and barren, sandy areas. Rhodoliths provide a stable and three-dimensional habitat onto which a wide variety of species can attach, including other algae, commercial species such as clams and scallops, and true corals.] Living rhodolith beds are widely distributed throughout the Gulf of California, Mexico. Rhodoliths are resilient to a variety of environmental disturbances, but can be severely impacted by harvesting of commercial species. In shallow water and high-energy environments, rhodoliths are typically mounded, thick or unbranched; branching is also rarer in deeper water, and most profuse in tropical, mid-depth waters. Here is another photo of a rhodolith. I took the photo at Port Hughes jetty in March 2017.